My husband and I love travelling and we have been Wyndham owners for over 10 years. We’ve enjoyed many fabulous holidays and adventures thanks to our Wyndham ownership. We have visited Sydney, Kirra Beach (QLD), Pokolbin (NSW), Lake Wanaka (NZ), Denarau Island (Fiji), Whistler Ski Resort (Canada), Big Bear Ski Resort (California, USA), San Francisco (California, USA), Anaheim (California, USA) and Steamboat Springs Ski Resort (Colorado, USA). We’ve stayed at an associate resort in Hoi An (Vietnam) and exchanged our credits with Interval International to stay in Phuket, Breckenridge Ski Resort (Colorado, USA) and Avon Ski Resort (Colorado, USA). We’ve loved every moment, exploring new places and cultures, relaxing in beautiful locations, experiencing excellent accommodation and service and we look forward to many more wonderful Wyndham memories with our growing family. In 2011 we headed over to explore Vietnam and for part of our trip we stayed at an associate resort in Hoi An. Our beachside resort was stunning and provided great opportunities to dine and relax by the pool and in the surf. Hoi An is listed as an UNESCO World Heritage Town having survived the bombings of the Vietnam War relatively unscathed. 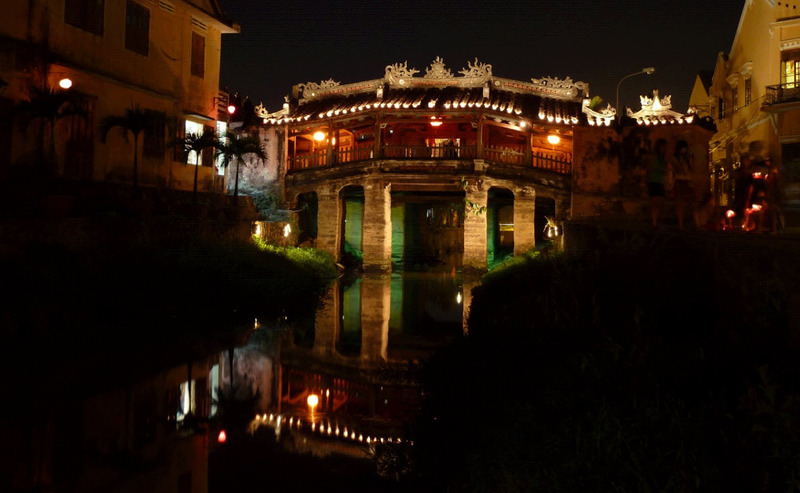 This photo was taken at the Japanese bridge – it is stunning by night and it is complimented by numerous floating illuminated lanterns in the adjoining river which help create the central dinning and shopping district of Hoi An by night. During the day we had gone on a bicycle tour around the town and surrounding Islands, which make up this river delta community. The trip was highly recommended on trip advisor as suitable for all ages. I had not ridden a bicycle in many years so this was an experience. Early in the tour we came across a rickety, and undulating floating bridge, 400 metres long, that we had to cross – somehow I made it all the way across without hitting any nails or falling off the edge. We visited some locals and learnt how mats are weaved, learnt about the history of basket boats and went paddling out in these round boats that really do look like big baskets, 2 metres in diameter – if you didn’t get the paddling technique quite right you ended up going round in circles. The people of Hoi An and in fact all of Vietnam were very friendly and their honesty was on occasions brutally refreshing – this is the first place we’ve been where the waitress wouldn’t let us order more dishes because it would be too much food – and she was right! 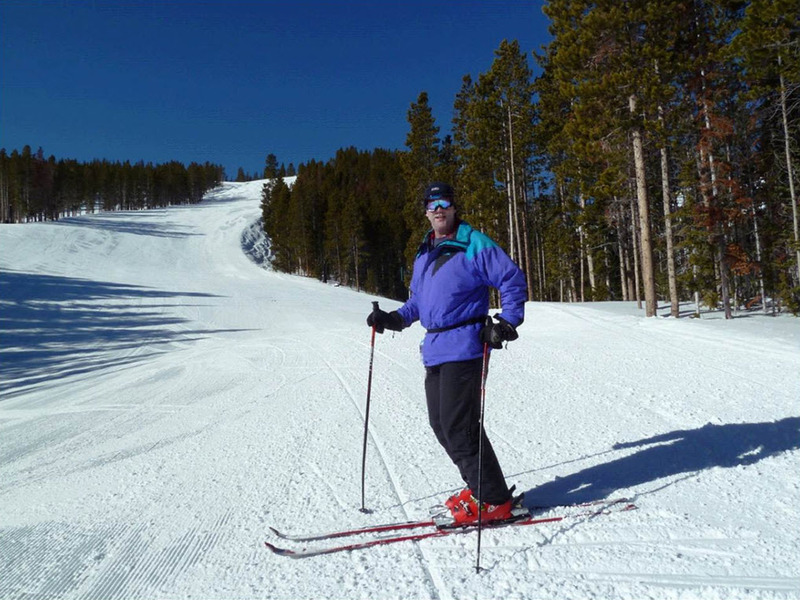 We had already enjoyed a week of fabulous skiing and this was our last full day in Steamboat. We woke up to a picture perfect day and headed out to begin our dog-sledding adventure. It was a chilly -5oC when we met our chauffeurs for the morning and I snuggled into the sled while my husband got ready to drive the dogs. We swapped over half way through the journey and both thoroughly enjoyed the ride as we dashed through the fresh powder snow and took in the views of the pristine countryside. 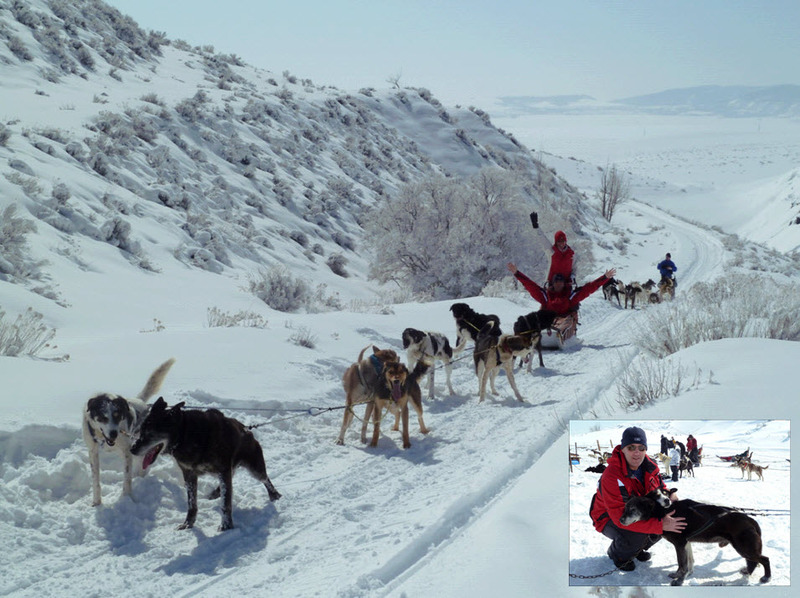 The dogs love to run and during the brief stops they would roll in the fresh powder snow to cool down. When the run was over it was time for a big pat and cuddle with all the dogs. 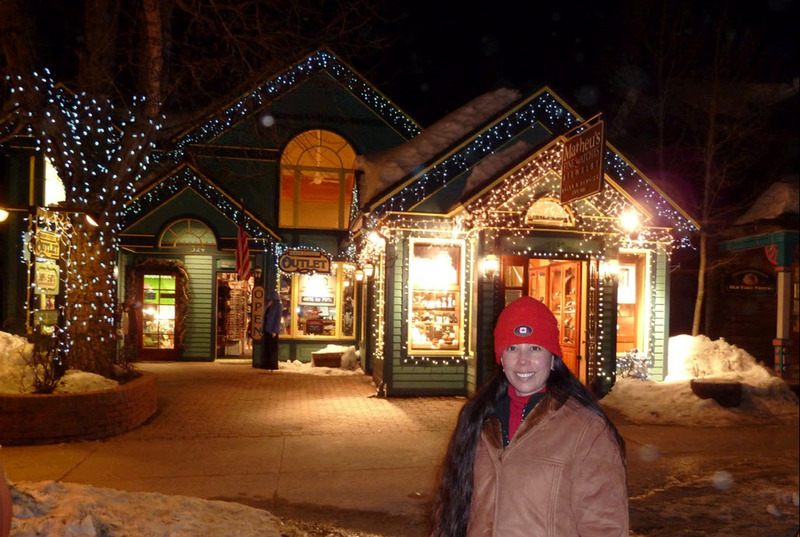 It was a fabulous way to finish off our week in Steamboat. The accommodation was booked through Interval International by exchanging credits and we spent a week at the Marriott Phuket Beach Club. The resort facilities and friendliness of the staff exceeded our expectations. During this trip we spent time around the resort enjoying the massages on the beach, lazing by the 3 magnificent pools and of course enjoying authentic Thai food. Some of our meals were enjoyed at a little hut a few hundred metres down the beach from the resort. The seafood was fresh from the trawler, with prawns as big as bananas, flavours “to die for” and the local family that cooked the meals were lovely. We also went on an adventure with an overnight camping trip out to Kao Sok National Park. The camping was fun – we started in the restaurant area where we enjoyed a lovely lunch and met our fellow travellers before heading out for a canoe trip on the river adjoining the campsite. 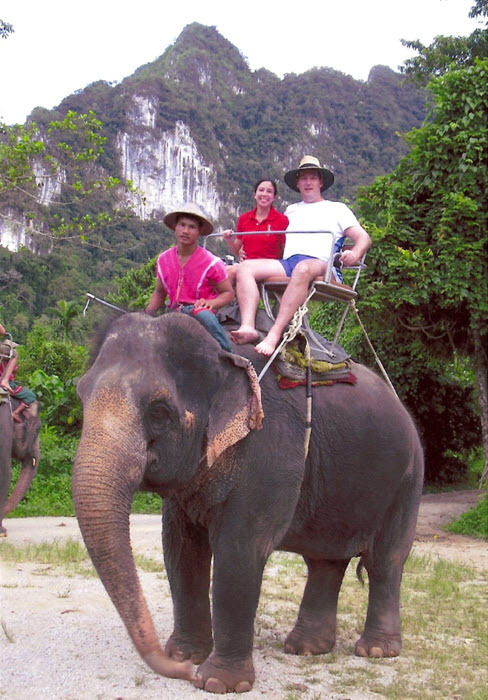 We went on to an elephant camp where we rode elephants through the jungle – they are truly amazing animals. They can be so gentle that you forget how strong they are – our elephant got her leg caught on a tree that had fallen down so she reached down with her trunk and snapped the tree like it was a toothpick. That cleared the path and we continued on our journey. We were able to feed the elephants at the end of the ride and that was amazing too. We have stayed at the Denarau Island resort several times and thoroughly enjoyed every visit. During our visit in 2010 we attended the Wyndham welcome function and we met a lovely couple from California, over a few drinks and some coconut bowling. 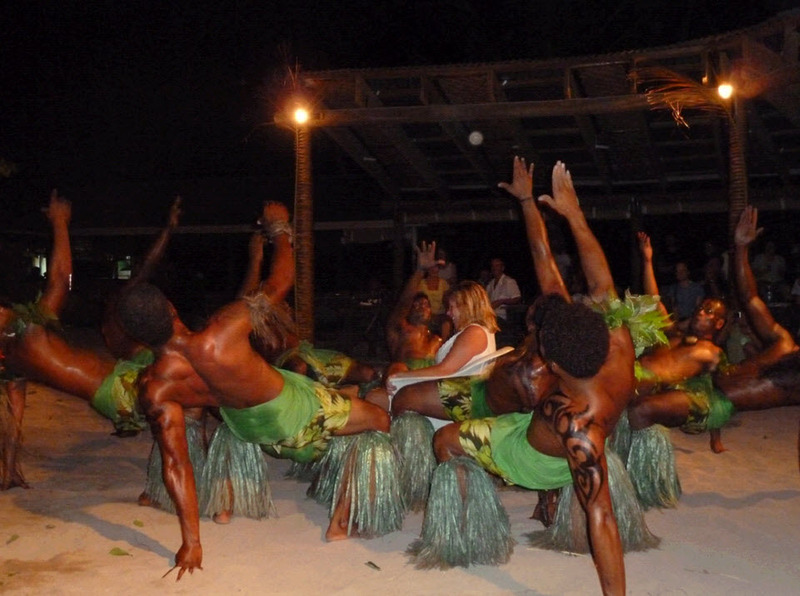 Later that week we enjoyed a day trip out to Robinson Crusoe Island with our new friends where we helped to celebrate Debbie’s 50Th birthday – as you can see from this photo the male Fijian dancers bent over backwards to give Debbie an experience to remember. We have remained good friends with Debbie and Frank and we have visited them in California twice since meeting them at the “Welcome Function” and coconut bowls. Breckenridge by day, was picturesque, endless beautifully groomed runs, no crowds or queues for the lifts, great powder snow up high at 14,000 feet and therapeutic ice cold beers in numerous restaurants and taverns at the base of the slopes. By night the town would light up like a fairyland in a Charles Dickens novel. We look forward to returning many times with family and friends in the future.